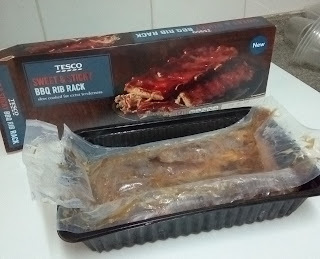 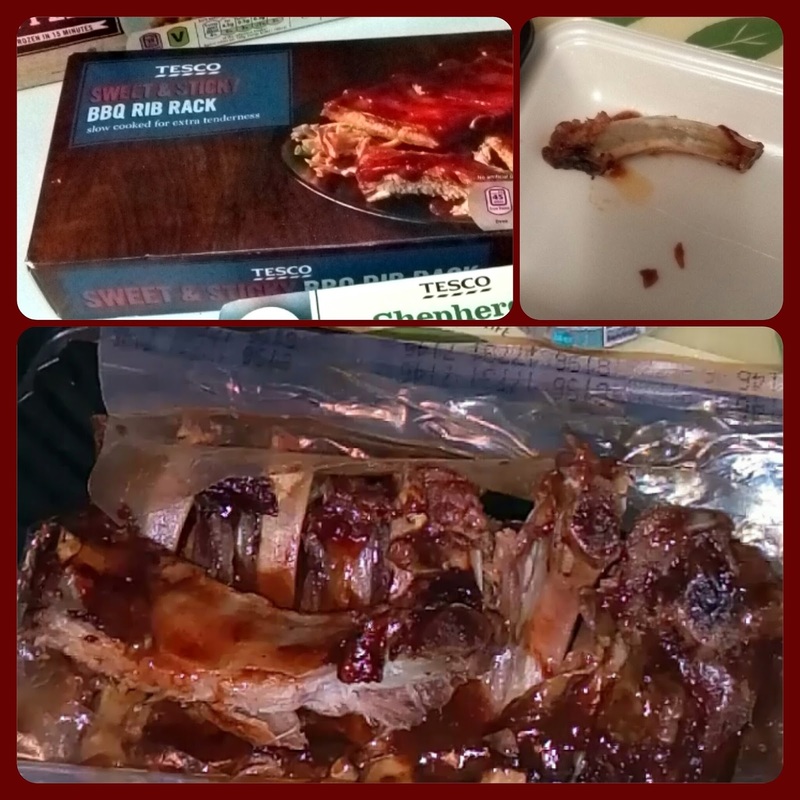 These Sweet & Sticky BBQ Rib Racks from TESCO were surprisingly good. 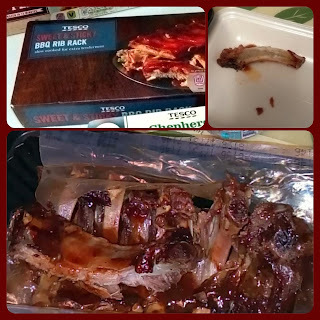 You can put them in the microwave or oven. 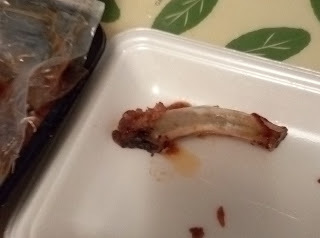 I put them in the microwave because it seemed easier as you just pierce the plastic and put it in the microwave. The texture of the meat was surprisingly tender and came off the bones easily however the taste lacked a vinegary and smoky punch, it was just sweet.